Urinary bladder cancer is the most common cancer of urinary tract. The exact etiology of urinary bladder cancer is unknown. However, exposure to various risk factors may change the susceptibility as well as patho-physiological outcome of disease among individuals. The fundamental event in cancer development is loss of genomic integrity as experimental studies dictate that genetic changes either in germ line genes or somatic genetic alteration must occur for tumor initiation as well as propagation in later stages of tumor development. Conventionally clinical and pathological methods are used for the diagnosis and clinical outcome of urinary bladder cancer. However, the prognostic ability of these methods is limited because these methods are invasive, expensive and have major complications after procedure. Therefore, the biggest challenge in front of urologist and researchers is to develop relevant protocol that is cost effective, more sensitive and a non-invasive method for diagnosis. 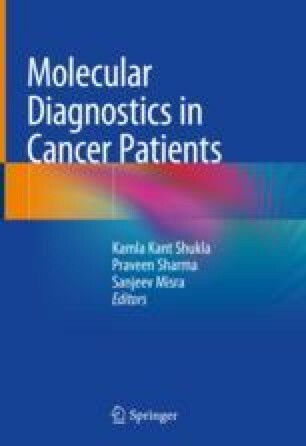 In this chapter, we have reviewed the molecular markers and associated possible benefits of detection, surveillance and prognostication of disease as well as investigating the molecular profile of individual patient which can guide clinician into a new era of improving prediction of natural history of tumor and providing a more personalized and tailored intravesical and systemic treatment to that particular patient. Altekruse SF, Kosary CL, Krapcho M, et al., editors. SEER cancer statistics review; 1975 2007. Bethesda: National Cancer Institute. http://seer.cancer.gov/csr/1975_2007/ [based on November 2009 SEER data submission, posted to the SEER web site 2010].